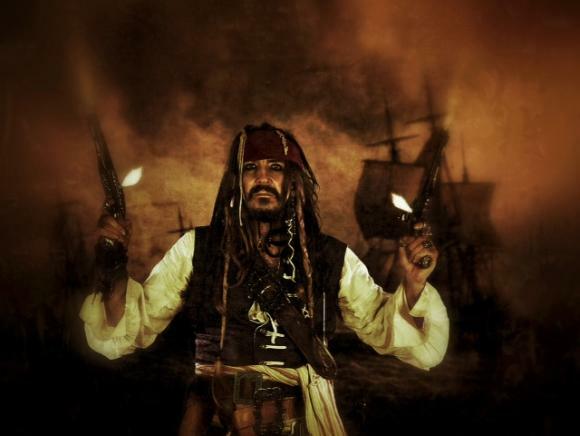 Welcome land lovers and fellow pirates to Jacko Sparro, Captain Jack Sparrow lookalike/impersonator home page. Jacko Sparro appears at events around the South West and provides entertainment at children's parties and other celebrations, including weddings. You might have seen him appear with Pudsey on BBC Children In Need. Captain Jack Experiences is one branch of Partymax Entertainments which has been providing entertainment locally for over 20 years. Visit our Partymax website for details of other characters and party packages.